For decades, there’s been significant discussions on how professional fighting affects the brain, but not much scientific progress has been made on the matter. Now, a new (not yet peer reviewed) MRI study has shown that important regions and connections of the brain have decreased in volume in both amateur and professional fighters with the most experience. 104 boxers and 135 mixed-martial arts (MMA) competitors — many of them “cage fighters” — were studied, and the results showed a correlation between the number of years fighting and reduced volume in the caudate and amygdala, while strong trends were seen toward smaller volumes in the thalamus and putamen. 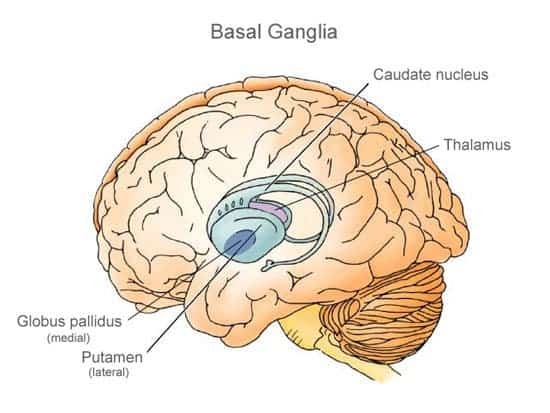 The caudate nucleus is an important part of the brain’s learning and memory system, while the amygdala is crucial to the processing of memory and emotional reactions. Cognitive and other functional deficits in professional fighters have been noted for decades, if not centuries, and are caused by hits to the head. The average career length at enrollment was 4 years and the mean number of self-reported fights was 11; at this time, the differences weren’t all that big. However, as researchers report, after the 5th year, the volumes start to shrink significantly, most sharply for the caudate. In that region, volumes were 10% lower in participants with 15 years of experience compared with those fighting for 5 years or less. Also, the biggest correlations were observed in subjects who started fighting in their adolescence. While as I mentioned, this hasn’t been peer reviewed, I believe it points a pretty good picture, showing an intuitive, but not really researched result.